OPENING DAY! The family friendly Christmas Traditions Festival is held in Historic St. Charles and is a celebration of everything Christmas! The traditions of Christmas from around the world are acted out by a group of thirty or more actors. From the Sugar Plum Fairy, to Christmas Carolers, to Ebenezer Scrooge to Father Christmas, to Mr & Mrs. Claus, they can all be found strolling along Main Street in Historic St. Charles. The quaint shops and restaurants located in the restored historic buildings that line the cobblestone streets, are all beautifully decked out for Christmas and are open late for the Festival. This event is FREE to attend! Dates: Wednesdays, Fridays, Saturdays & Sundays, November 23rd through December 24th. See website for ALL the details! 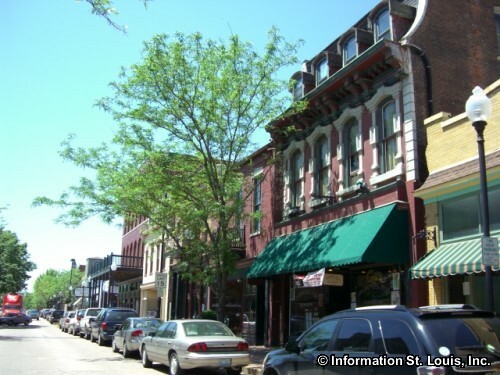 Historic St. Charles is located along the Missouri River and centers around restored Historic Main Street. Many annual festivals are held on Main Street, as well as in Frontier Park, found just one block away. Directions: Located along Main Street. From Interstate 70, take the 5th Street exit and use First Capitol Drive or Boone's Lick Road to Main Street. From Interstate 370, use Highway 94 to 2nd Street to Riverside Drive to Main Street. From Interstate 364, use the Arena Parkway South River Road north to South Main Street.